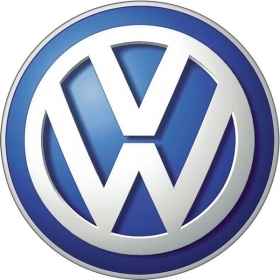 WASHINGTON (BLOOMBERG) -- Volkswagen AG vehicles are under review by the U.S. National Highway Traffic Safety Administration after reports of engines stalls, some at highway speed, that may be related to fuel-pump failures. The auto-safety regulator has received reports of one accident and 160 complaints from owners and the company about loss of engine power and stalling, NHTSA said in a posting on its website Friday. The power loss and stalling was related to high-pressure pumps failing and contaminating the fuel system with debris, the agency said. About half of the reports involved stalling with “many of these alleging stall incidents at highway speeds in traffic with no restart,” the agency said. NHTSA is reviewing 97,272 cars equipped with 2-liter 4-cylinder turbodiesel engines. They include 2009 and 2010 models of the Volkswagen Jetta and Golf and the Audi A3 that have TDI clean-diesel engines. The safety agency, which received 52 of the complaints directly and the rest through the automaker, upgraded its investigation to an engineering analysis, a step that can lead to a recall.